India - The land which certainly its own way of life; the land that showcases the sparkling part of natural beauty, majestic culture, ancient heritage and grand wildlife as its diverse Cultural country; India invites all for a wonderful classical tour at its variant location for various purposes and for different reasons for celebration and for Cultural and leisure. We Travelsite India take the opportunity to make you get familiar with the glorified treasures of this amazing and Beautiful country. The country which is full of differences and with the most alluring tour operating services we are always (24 x 7 hrs) there to assist you to recognize and respect those differences and versatility in a grand and royal manner. For your type of arrangement like booking, accommodation, transportation and guidance and any kind of travel arrangement we and our dedicated members will always stand by you to bring the most impressive Travelsite India Services. India has the second most UNESCO World Heritage Sites (The Taj Mahal is one of best example) in the world. We recommend you learn a little more from your network or Google. 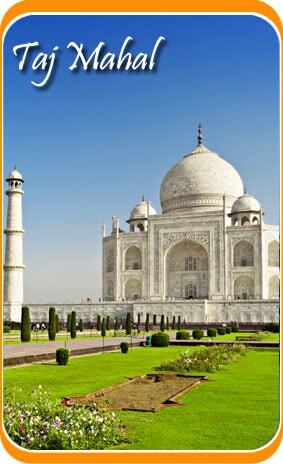 With Travelsite India, you can select which historical and natural wonders you want to explore. While you're with us, you'll have the best opportunities to experience India's amazing diversities in people, architecture, geography, and cultural heritage. From Northern Himalayas to Southern beaches mean in India Map from Top to bottom, Eastern jungles to Western deserts, India is prosper with so many cultural and geographical diversities, a perfect reason for India tourism. There is simply no other words that catch the true enigma of this land where great legends still holds its power and impression, the grand architectural structures are the true reflector of history and the life of the spirit can be sacredly glimpsed at different temples and pilgrimage sites at its every corner. Royal Rajasthan, lying at the west end part is the most blissful state where colorful attires and vibrant cultures are its true enigma. India Tourism also brings a fantastic opportunity of backwater tour in India specialized Kerala , eloquent beaches. The magnanimous beaches of Kerala, Goa, Maharashtra and Tamil Nadu soak ever moods along with the silence of the nature. Kovalam, Baga, Marine Drive, Calangute, Juhu Beach, Dona Paula Beach are some of the magnificent sea-sides that brings marvelous enjoyable options for the party freaks and the romantic honeymooners, and this destination can be enjoyed for you honeymoon along with some relaxing Ayurvedic Treatment Centers and Spa therapies can be availed. But above informed all these fantastic features, the most royal experience one can have with India tourism is its grand wildlife tour and national parks at different dense jungles and sanctuaries. For the welfare of the endangered species and balancing the eco-system, India is designed with more than 500 sanctuaries and bio-reserve aria in India. India proudly holds tremendous counts of wild species all the national parks in the respective zones for great wilderness. Their names are Ranthambore, Corbett and Kanha are most popular for tiger tours and other animals, where on the other hand Kaziranga in Assam is the perfect place to see real tiger in jungle with your own Jungle safari for great Indian Rhinos along with Sasan Gir in Gujarat to bring the royal Asiatic Lions. In addition to this, India is a perfect paradise for the bird watchers and who can easily visit Bharatpur Bird Sanctuary in Rajasthan, Chilka Lake Bird Sanctuary in Orissa, Thattekad and kumarakom Bird Sanctuary in Kerala and more for much fun and excitements. Travelsite India scores 4.8/5 based on 232 reviews in the last year. 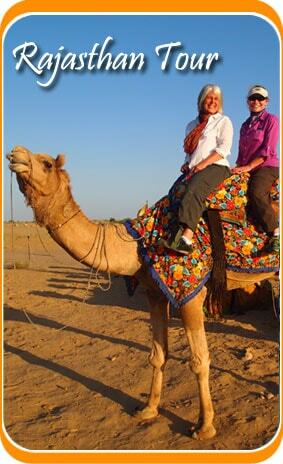 So get your own customized Tour Package To India with Travelsite India, an Inbound Travel Company in India.